In my opinion, nothing can replace the feeling of a book in your hands. Although the kids do a lot of research online, we also make sure we have a selection of fun and interesting books on hand to catch their fancies. Recently we had the opportunity to pick some books from DK Canada's Back to School Boutique. The boutique offers a range of books on math, science, English and history, as well as titles on topics such as volcanoes, dinosaurs and sharks. For a limited time, these cool books are 30% off. 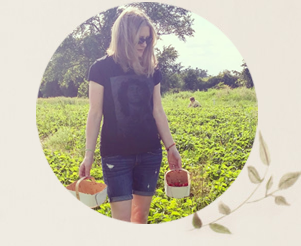 I picked books that interest me as well as the kids so that I can share them with enthusiasm. When my husband and I were in university, we took a couple of art history courses together. He was the only guy in one of the classes, so the professor used to centre him out quite a bit. I got to sit by and laugh. 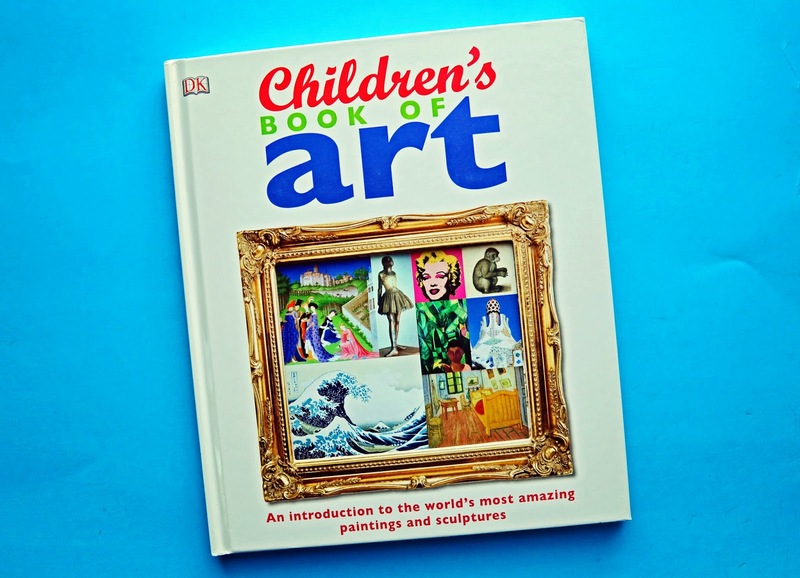 We try to share our appreciation for art with our kids now by going to art galleries, drawing and painting at home and reading books about art. 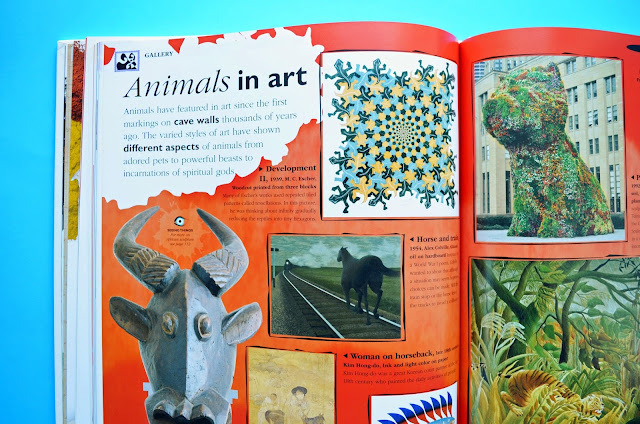 DK's "Children's Book of Art" provides kids with an overview of art around the world and throughout history. It introduces everything from prehistoric cave art to present-day sculpture to street art. The book starts off with a look at a painting by one of my favourite artists - Fernando Botero. On our honeymoon in Italy in 1999, my husband and I were fortunate to catch an outdoor exhibition of his monumental sculptures. 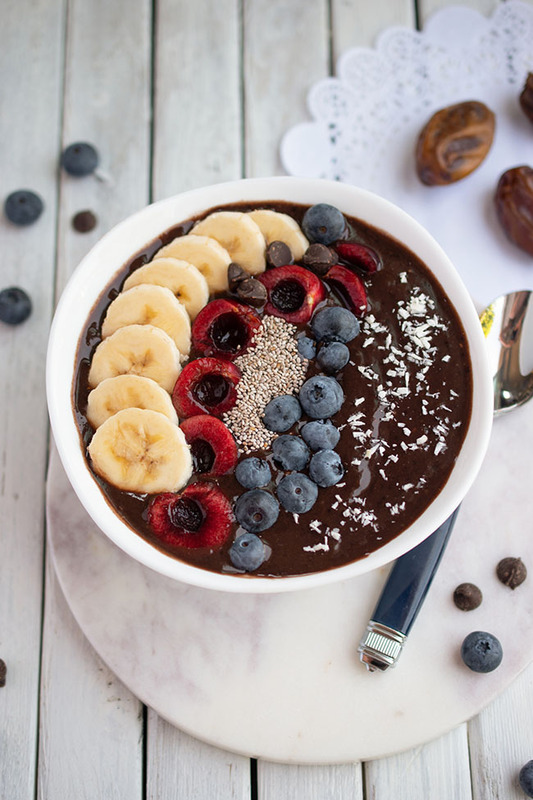 Have a look - they are so cool! 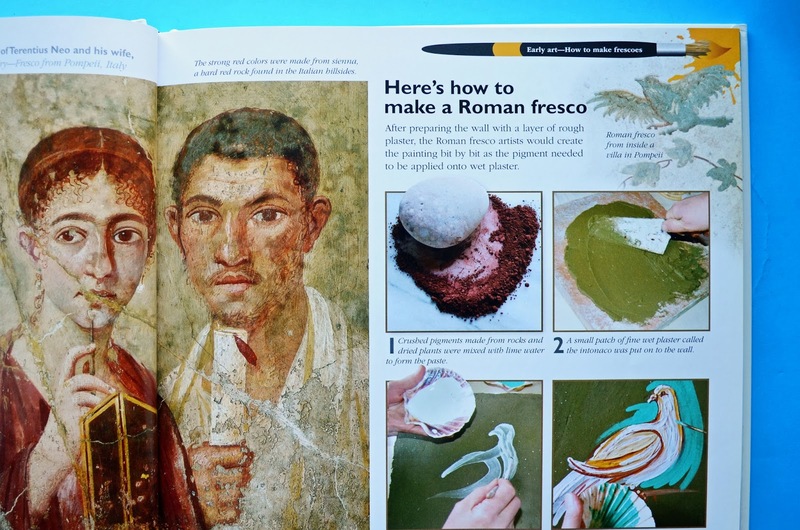 "Children's Book of Art" also gives tips on techniques such as painting with pastels, using watercolours and making frescoes. I chuckled at that last one - I couldn't help but think that perhaps this was the type of instructions that Cecilia Gimenez used when she turned a prized Spanish Jesus Christ fresco into a "crayon sketch of a very hairy monkey." Growing up, I used to be fascinated by one of my brother's books - it had pictures of the most amazing looking frogs in all sorts of colours - including yellow and red! 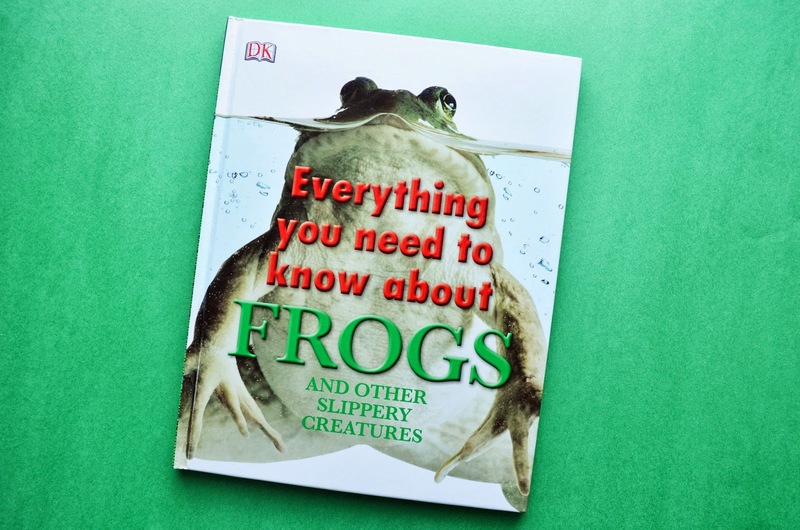 So, I picked out DK's "Everything You Need to Know About Frogs And Other Slippery Creatures." If you ever need a reminder of how fascinating our world is, consult this book. 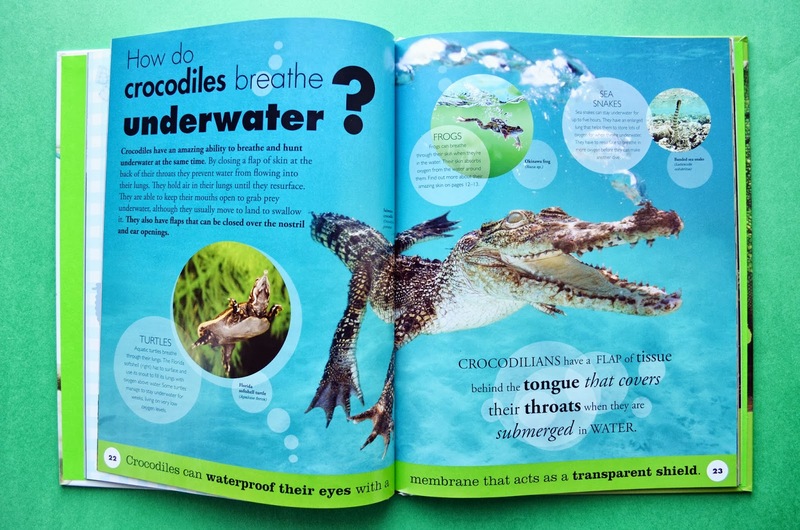 For example, did you know that crocodiles breathe underwater by closing a flap of skin at the back of their throats and holding air in their lungs? Wouldn't that be handy? They also have flaps that can be closed over the nostril and ear openings. 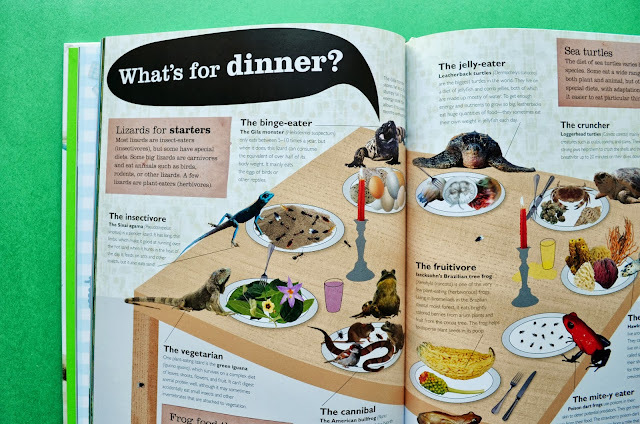 This book has information on habitats and breeding habits, as well as sharing oddities, anatomy and shocking facts. My mom told me a story recently. When my brother was young, he collected a bunch of tadpoles and put them in a bucket of water, which he left outside the house. My dad came home from work after dark and, thinking the bucket only contained water, dumped it out on the driveway. My mom told him about the tadpoles. She helped him gather up enough so that my brother wouldn't know the difference. But my dad stayed much longer, grasping on the driveway in the dark to save all of the tadpoles he could. I'm pretty sure I get my love of animals and other creatures from him! 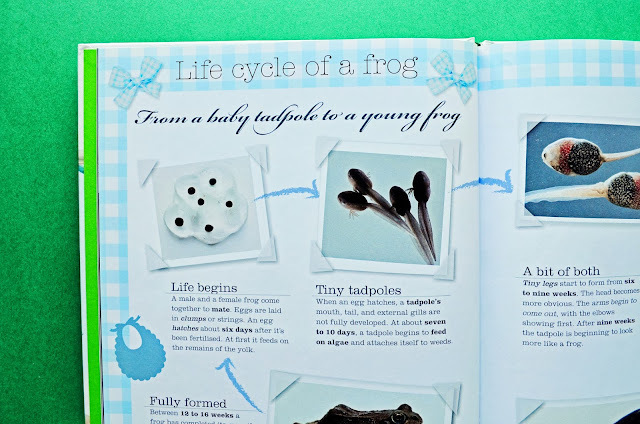 Did you collect tadpoles as a kid? What was your favourite topic to study? joann; It's funny that you mentioned your dad. While I was reading the blog I was thinking how much he would like those books, especially reading them with the children. We'll have to bring them next time we visit! I bet your Mom and Dad were in a panic - great story!! I loved DK books for my kids too - they've gotten nicer as the years go on.. Nothing better than a good old fashioned book. I agree! I love kids DK books, we have a whole heap and honestly this is how I learn stuff. 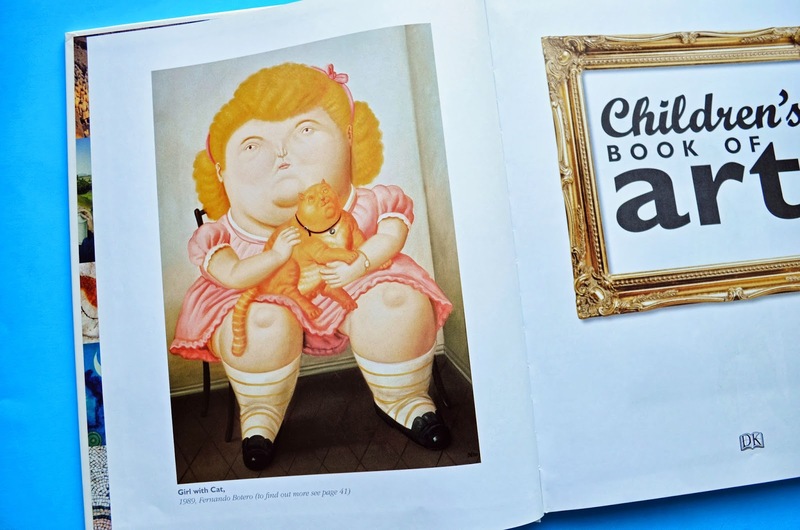 Books for grown ups are just too uninspiring :) The art history book looks fantastic, I think I'll get that myself!